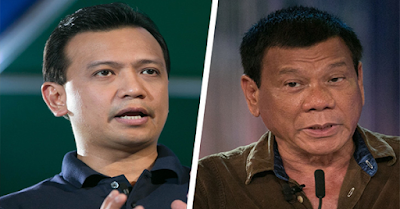 Sen. Trillanes: Conveys a Message of Support to Mayor Rodrigo Duterte? Senator Antonio Trillanes IV has been very vocal of his disagreement about the simplicity of Mayor Duterte's lifestyle. He even exposed that the Mayor and his kids conceal millions of pesos in their bank accounts and own an array of investments and properties. Trillanes is just one of those critics who publicly conveyed his contention. 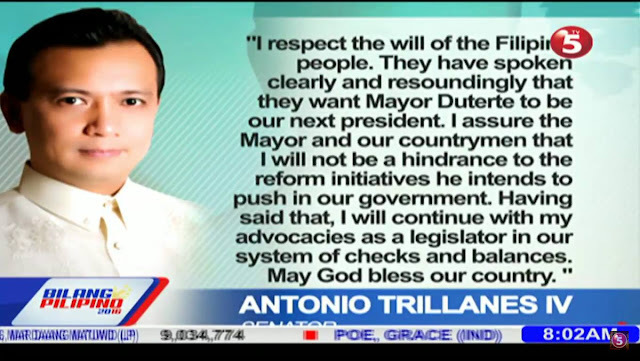 However, a very different Antonio Trillanes is seen now on media. Before he is a critic, now he is a supporter. He conveyed his respect to the votes of the Filipino people and acknowledge the bright possibility of Duterte being the next president of the Philippines. Surprising, right? Trillanes is shaking in his boots, karma is on it's way.